As many people crave for sugar-based foods, the incidence of diabetes around the world is also increasing. 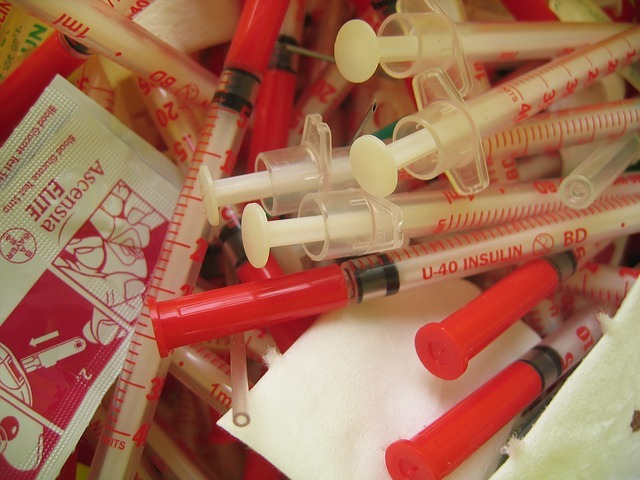 Insulin is responsible for regulating one’s blood sugar level. If you consume a large amount of sugar daily, the normal production of insulin will not be enough to manage your blood glucose. Diabetes has no known cure yet, but certain home remedies can alleviate your blood sugar level temporarily. Since they are done through natural means, there will be no side effects. However, it is still better to consult your doctor if a home remedy is beneficial for you. It is proven that bitter gourd or bitter melon can decrease the blood glucose level and helps in metabolism of glucose. Pancreatic insulin production is increased and insulin resistance is prevented. People suffering from diabetes, whether type 1 or type 2, must consume bitter gourd regularly. Though it generates positive results, it cannot completely become a substitute for treating insulin resistance. As you wake up, take a bitter gourd drink even if you have not yet eaten your breakfast. To prepare this, put 2 to 3 pieces of seeded bitter gourd in a juicer and get its juice. You may also add a small amount of water to reduce its bitterness. Aside from drinking juice, you can prepare a delectable dish with bitter gourd as the main ingredient. Powdered cinnamon can enhance and hasten the activity of insulin. When your insulin works effectively, more sugar will be metabolized. As a result, your blood sugar level will decrease. This is best for people who are suffering from an uncontrolled type-2 diabetes. In spite of its effectiveness, everyone must take cinnamon in moderation because it carries a compound known as coumarin. This compound is a toxic substance which can damage your liver. To prepare this, combine one tsp. of cinnamon and 1 cup of lukewarm water together. Drink this every morning. You may also opt to swallow one teaspoon of powdered cinnamon daily. This herb is known for alleviating the blood sugar level of the body. It can enhance a person’s glucose tolerance through its hypoglycemic function. It can increase the amount of insulin in the body. For one day, put three tbsp. of fenugreek seeds in a jar of water and allow it to be soaked. After soaking, drink the resulting mixture every morning. Drink this even if your stomach is empty. You must continue this habit for several months to see evident results. You can also mix powdered fenugreek seeds and a cup of milk together. This fruit is enriched with vitamin C, which helps the pancreas in performing its role. In a food processor, add in the seeded Indian gooseberries and blend until smooth. Using a cheesecloth, drain the juice in a container. Add some water to the extracted juice. Drink this every morning. You can also mix this juice with the bitter gourd juice. Try all these best home remedies for your diabetes to free yourself from the effects of this common lifestyle disease.